Flood waters continue to torment the Midwest and rescuers are relying on US Boatworks to fix their boats quick so they can get back to the job of saving lives. 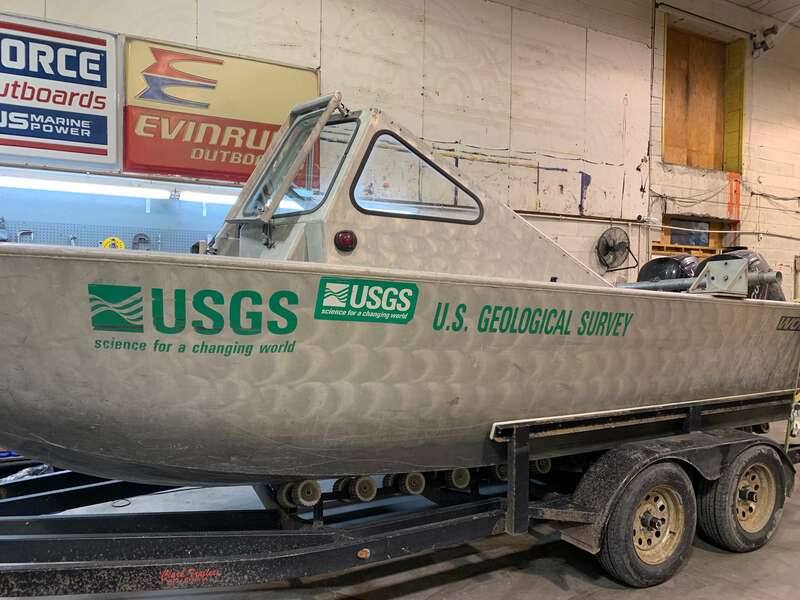 The US Geological Survey crew has been on hand helping with rescue efforts to the North of Kansas City and when their Mercury Outboards started having problems, the promptly took it to us for repair. Time was of the essence as flood waters would crest any day leaving more families in need of evacuation aid. As a Mercury Marine Premier Repair Shop, our team was well equipped to repair the motors in a day so USGS could get back on the water. Our boat parts department which stock over 2 million parts played a big role in the quick turn around as there was no wait to order replacement parts. So what makes US Boatworks stand out as a preferred boat dealer for our local fire and rescue department? 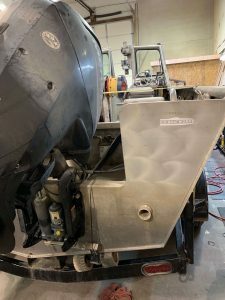 We have poled our customers and choose the top 5 factors that make US Boatworks a superior boat repair shop. Our certified mechanics know your engine inside and out. Each mechanic has attended many hours of instruction each year. This education keeps them on top of new technology which rapidly changes each year. Each of our mechanics has over 25 years experience repairing boats. So, in addition to being educated with the new technology, our staff has experience working on the late model engines as well. Our friendly team is always happy to help. Step into our humble shop and you will find our experienced team ready to answer your questions and solve your problem. Great pricing: Low overhead keeps our costs down and we pass that savings on to our customers. Over 2 million boat parts in stock. This means that we should have the parts you need on hand. This saves a considerable amount of time while your boat is at our shop- no need to wait for parts from the manufacturer. Your repair will be completed as quickly as possible to get you back out on the water. We hope you choose US Boatworks for your Kansas City Area boat repair needs. It’s hard to put into words how much we truly care about our customers. Come in and give us a try, let us earn your business as we have done with our local fire and rescue departments.